Natural dog treats are nutritious snacks that can be used as delicious rewards during training sessions, or just to supplement your dog’s existing meal plan. The problem with dog treats is that all of them claim how wonderful they are without backing up these claims. The FDA has a very poor set of regulations when it comes to dog food, dog health supplements, and dog treats. These badly laid out rules make it very easy for manufacturers in the pet food industry to trick the buyers, like you, using over-exaggeration, and other disguised claims and tricks. We’ve done the homework so you do not have to, and compiled a list of the 10 best natural dog treats you should consider buying for your dogs. Our recommendation is to go with single-ingredient dog treats, as well as grain-free. This freeze-dried raw whole duck heart treats for dogs are very nutritious and wonderful natural dog treat that combines health and taste together. Made of a single ingredient that is duck heart, it makes up for a wholesome treat that is absolutely devoid of artificial flavor, color, preservatives, and gluten. These freeze-dried treats from Fresh is Best stand out from the other freeze-dried dog treats by virtue of its preparation process. The Whole Duck Heart Treats are allowed to dry at low temperatures over a longer period instead of being dried quickly in a day at high temperatures. This process allows for maximum retention of the main vitamins, proteins, and other nutrients. They also become more digestible and bioavailable for your dog’s body. Available in the form of bite-size pieces, this freeze-dried treat is an ideal training treat for your dog too, who will simply love his reward and want more. While this treat is good even for the pups with food sensitivities and allergic tendencies, it is advisable to keep a watch on your dog while he/she is given this treat for the very first time. These treats are, all in all, pretty nutritious and wholesome. Therefore, they can serve well as both intermittent snacks and meal supplements. The only negative thing about this treat is that it the whole duck hearts appear to be a little gross and awkward. As such, a few dog owners might not prefer this otherwise ideal treat for their dogs. Frankly, it’s to be the healthiest of the list, but also the least appealing to us, humans. The Wellness CORE Marrow Roasts Grain-Free Natural Dog Treats are entirely USA-made natural treats for dogs that contain no soy, wheat or corn but pure, high-quality beef. These treats come in the form of crunchy biscuits that are baked with real marrow centers. It is their delicious taste that makes these treats a favorite among pups and adult dogs. Packed with all natural ingredients and absolutely devoid of artificial colors or flavors, these healthy dog treats are certainly one of the best natural treats available out there for dogs. Wellness CORE Grain-Free Treats give your dog the nutrition it requires. The treats are packed with iron, zinc, calcium, and Vitamins A ensuring optimal health. The primary ingredients, all of which are globally sourced, include beef, chickpeas, cooked bone marrow, ground peas, sweet potatoes packed with complex carbs, tapioca, ground flaxseed, fat from chicken, rosemary, citric acid, spearmint, and green tea. Interestingly, this premium quality natural dog treat does not contain very high calories and the average calorie content is restricted to only 5 calories per treat. 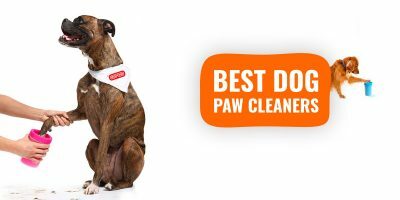 This makes them an even healthier option for your furry one, especially for dogs with a weight control problem. 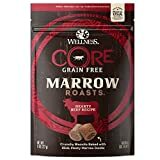 The Wellness Core Marrow Roasts Treats can be given to your dog in between meals. It is, however, good to remember that these are meant for supplemental feeding only and cannot replace an otherwise wholesome meal. Brutus and Barnaby’s 100% Natural Whole Pig Ear Dog Treat are one of the most loved chewable treats available out there because most of our furry family members simply love the taste of bacon. As the very name suggests, this 100% natural treat from Brutus and Barnaby is completely free of any chemical or preservative whatsoever. With a tantalizing taste and pure richness, these treats comprise all-natural lobes made from pig ears from pigs that are free of synthetic hormones. The Natural Whole Pig Ear Treat is also the best-possible alternative to rawhide chews and safe for your dog because unlike the real bones, these treats neither splinter nor crumble. Because these treats serve as great chews, this tasty product from Brutus and Barnaby is ideally recommended for the aggressive and anxious breeds of dogs. The quality is assured as every pig ear is hand inspected at least thrice to make sure that your furry one gets to eat nothing short of the best. It is a single-ingredient dog treat comprising pure pig ears only. The additional benefit of this Natural Whole Pig Ear Treat is that it enables your dog to maintain clean teeth and enjoy good dental health. The Whole Pig Ear Treats are as rich as they are tasty. So, it is best to give your dog this treat in limited quantity and see how he/she reacts to it while being on empty stomach as well as after a meal. Observe and make sure that your dog does not get overfed by the chews. Remember the rawhides, even from pork, will cause flatulence in most dogs, and once ingested, they do inflate in the dog’s stomach. Use with moderation! The Spot Farms No Antibiotics Ever Chicken Apple Sausage Recipe is one of the best organic treats for dogs that money can buy. These excellent natural dog treats from Spot Farms are packed with nutritious, human-grade ingredients like apples and cranberries which are very rich in antioxidants and high-fiber brown rice. All these are combined together with a real meat flavor that makes the treat strike a perfect balance of taste and health. These nutritious treats are extremely soft, chewy and completely devoid of any artificial colors, chemicals, and preservatives whatsoever. The primary ingredients include chicken, honey, apples, brown rice, sea salt, vinegar, green tea, cinnamon, and the calorie content is 3253 kcal/kg and 28 kcal/treat. The Spot Farms Chicken Apple Sausage Treats is prepared with a recipe formulated with 100% real meat that comes straight from Kentucky, where the company is run from their own little family farms. 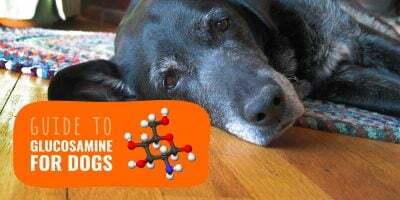 Hence, it has the delicious taste that makes your pup fall in love with it, and you do not have to worry about nonsensical and potentially toxic imports. Their deliciously healthy recipe, prepared in small batches, is braised and slow-cooked to ensure the highest possible quality, and enhanced flavors. Boasting of human-grade ingredients, this treat contains antibiotic-free USDA-inspected cage-free chicken only. Available in the form of bite-sized treat, this item is considered suitable for training dogs as well. As for feeding, dogs weighing below 5 lbs should be given half a treat max, those weighing between 15-30 lbs should be given 2 to 4 treats and for dogs weighing over 75 lbs, 6 to 8 treats are usually recommended. Remember that these treats are meant for intermittent or supplemental feeding only. The Zuke’s Jerky Natural Grain-Free Bites is again one of the best natural treats for dogs owing to its all-natural, high-quality ingredients. 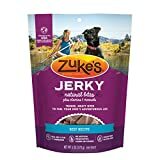 This Jerky Natural Bite Treats from Zuke’s come in the small, tender piece of turkey, beef, or lamb bites that are too mouth-watering to make your dog stay away from these. With a small shape and size, these treats are considered ideal chews for training purposes too. Made with US-sourced real and best-quality beef, this treat is entirely crafted in the U.S and is totally free from gluten, corn, wheat, soy, fillers or any artificial colors and flavors whatsoever. The primary ingredients of this amazing treat from Zuke’s include real meat (beef, turkey, or lamb), carrots, tapioca, apples, whole ground potatoes, blueberries, turmeric, sage, sunflower oil, zinc, vitamin E, and rosemary. The average calorie content is 18.3 kcal/treat and 3321 kcal/kg. These soft, savory, grain-free treats come across as some of the most nutritious supplements for your furry one. Bringing together the right dose of vitamins and minerals, Zuke’s Jerky Dog Treats are suitable for dogs of all sizes and breeds. These treats can also be an ideal option when it comes feeding your dog outdoors. It is good to remember that the treats are meant for supplemental or intermittent feeding only, and won’t replace a healthy meal plan. — 100% Fish Skin, Nothing Else! The Honest Kitchen Beams is one of the tastiest and most nutritious natural dog treat available out there. Made with a single-ingredient that is clearly identified: wild-caught fish skins. These treats contain no Chinese ingredients nor any kind of artificial flavors or preservatives whatsoever. 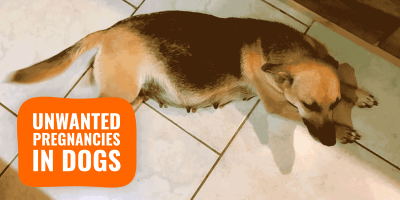 Honest Kitchen Beams are so tasty that even the pickiest of dogs can hardly stay away from these. Apart from providing wholesome nutrition, these treats are longer-lasting chews that also support healthy teeth and gums and promote overall dental health in your dog. The unique selling point of the Honest Kitchen Beams is its rich content of the praised omega-3 fatty acids that come from the crispy skins from the clean ocean waters of Iceland, and more specifically from wild-caught Atlantic whitefish. As such, the lean protein and the omega-3 fatty acids work together in helping your dog have a shiny coat too. This treat, of human-grade quality, is completely made in the USA using a conscious farm to bowl philosophy, is also considered ideal for dogs that are allergic to the more common sources of protein. As for feeding instructions, some dogs might be able to swallow the entire beam. But if you feel that it might get stuck in their throat, you can simply snip the beams into smaller pieces for easy feeding. At times, though rarely, a small amount of bone or cartilage may be attached to the beam. It is advisable that you pull it off before serving but most dogs will chew it and enjoy it problem-free. 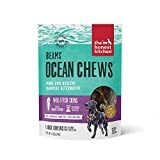 — Very Nutritious Natural Chews For Dogs! The Yak Snak Dog Chews is one of the most nutritious and best organic dog treats available out there. It is an entirely consumable chew that comes with all-natural ingredients and a great taste that you pup will simply love. The Yak Snak Dog Chews come in the form of hard cheese baked treats that are completely free from preservatives, gluten, grains or lactose. Derived from cow milk and yak milk, these treats are carefully handmade by farmers before being processed and tested to ensure strict quality control. These treats let your dog make the most of his/her chewing tendencies while also providing him/her with wholesome nutrition. How most manufacturers make yak dog chews. The mouth-watering taste of these yak milk and cow milk-made treat comes from the seasoning with delicious salt and lime juice. These combine together to make way for a delicious and wholly consumable snack for your pup. As effective chews, this Yak Snack treat also takes care of the dental health of your dog. The fat content is low and the texture is such that the treats last longer in your dog’s mouth. Read our review of the similar Himalayan dog chews. As for feeding, be a little careful while trying Yak Snaks Dog Chews for the first time and limit chewing to 10-15 minutes. Once the Yak Snak gets really small, microwave it for 45-60 seconds so that it puffs up a little and does not choke your dog. Make sure storing the chew out of the package and in a cool, dry place. — Made With Farm-Raised Beef! The Waveland Paws Organic Dog Treats are yet another natural dog treat that boasts of all-natural ingredients without a bit of preservatives or fillers of any kind. As one of the best organic dog treats out there, it comprises 100% organic, farm-raised beef that are slow roasted in small batches to ensure the nutrition content and excellent taste that it promises. In fact, each stick contains enough moisture to retain the flavour throughout the treat. The taste combines with the chewy texture to make way for a exciting and temptingly delicious snacks that your dog will simply love. The treats are healthy alternatives to the so-called junk food treats that are tasty but also harmful for your furry one. The primary ingredients of the Waveland Paws Organic Dog Treats include beef, beef organs including beef liver, beef broth and turkey liver. The average calorie content is around 117 kcal/oz. All these high-quality ingredients are sourced from the U.S. and the entire process is carefully undertaken to make sure that the quality is maintained. As such, the treat makes for an ideal snack or a reward and training treat for your dog, who you want to give nothing short of the best. These Organic Dog Treats from Waveland Paws are recommended for supplemental or intermittent feeding only. Also, observe your pooch the first time you serve him/her with this treat to prevent overfeeding. — Freeze-Dried Dog Treats & Single-Ingredient! 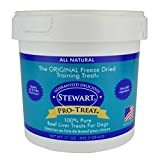 The Stewart Pro-Treat Freeze-Dried Treats for Dogs comes across as one of the best natural treats for dogs that boast of an excellent flavour and taste. Made from one single ingredient that 100% raw beef liver, these very healthy and nutritious are a favourite among pet trainers for over 40 years now. Coming in the form of morsels, this treat is carefully freeze dried to ensure retention of both its nutritional value as well as savoury, meaty flavour. The best thing about the Stewart Pro-Treat Freeze Dried Treats is that it is highly palatable and hence, suitable for dogs with food allergies and sensitivities as well. Made in the USA since 1973, this treat is made to go through the USDA inspection facility and is absolutely free from any kind of additives or preservatives whatsoever. The average calorie content of this treat is 5898 Kcal/kg and 6 Kcal/g. As for feeding, a daily amount of 1-2 treats is recommended for dogs weighing between 10-30 lbs, 2-4 treats are ideal for dogs weighing between 30-60 lbs while for dogs weighing more than 60 lbs, a daily quantity of 4-6 treats would just be fine. The treat can be given separately as a snack or crumbled over the main diet. This freeze-dried treat is suitable for supplemental or intermittent feeding only and supervision while feeding is recommended as with all other treats. 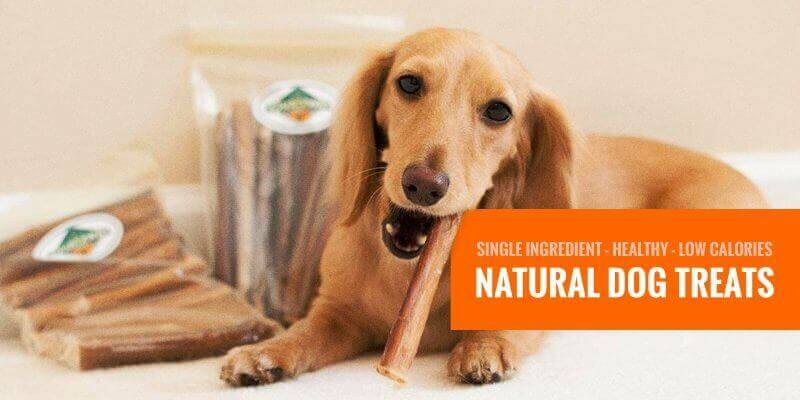 — Natural Beef Bone For Dogs! 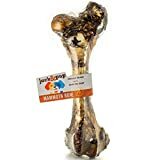 The Jack&Pup Premium-Grade Roasted Beef Femur Bone Dog Treat is a high-quality, all-natural dog treat made from grass fed, free range cattle processed in a USDA Human Grade Certified and Inspected facility. The process in which it is prepared makes it extremely delicious. The slow roasting and naturally smoky way combine together to create large, tender pieces of meat that your dogs can chew on for hours. The unique selling point of this treat is certainly its large size that also makes it ideal for dogs that tend to suffer from social anxiety and aggressive chewing. It is also compatible with a ketogenic dog diet! The quality is unquestionable because each beef femur bone piece is handpicked and processed thoroughly to make sure that there is no bacterial threat. As a natural and protein-rich treat, it can keep your dog busy for a long time. Though big in size, this treat is absolutely safe and digestible and is guaranteed not to cause any side-effects whatsoever. This healthy treat that combines the essential fatty acids, vitamins and minerals in the right amount, also supports good dental health in your dog. Overall, it is one of the healthiest natural treats for dogs that you can definitely consider buying. It is advisable to observe your dog for the first time after he/she is given the treat. Also, the treat is meant for supplemental or intermittent feeding only and not as meal replacements. Make sure your dog doesn’t break the bone or swallow bone chunks. Great website! I wish I had some of these great tips and practical advice when I started out! 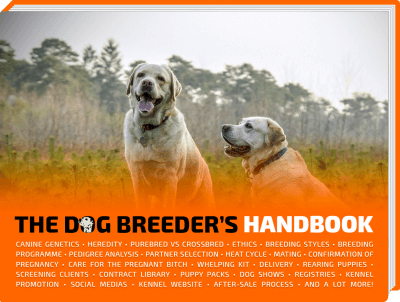 I no longer am actively breeding my beloved Pem corgis but when I was there wasn’t comprehensive no nonsense guide like this. Thanks for all your work!